What is stale? While this may seem like an odd question, it recently came up in a Plenty workshop I was leading at the International Institute of New England, an organization in the heart of Boston that helps refugees and immigrants make a new home here in the US. 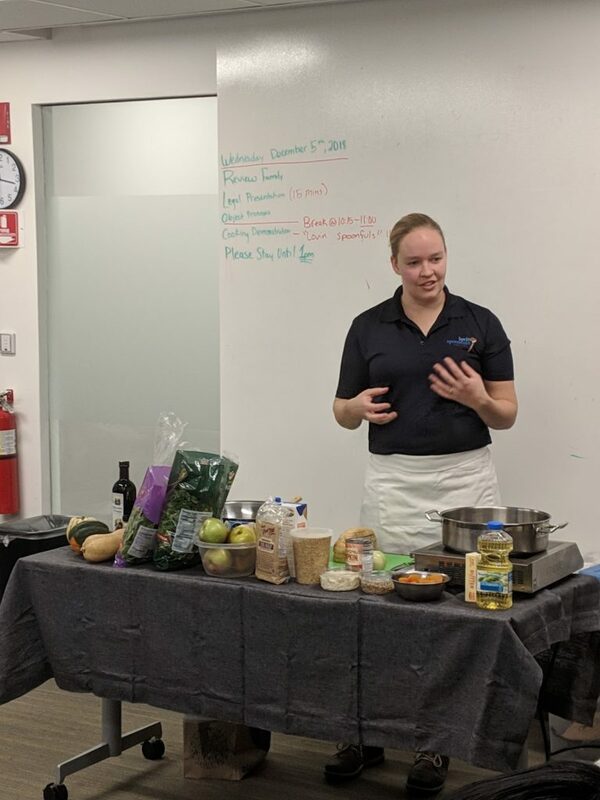 The institute offers everything from English classes to legal help, and today a room full of students from many different countries were gathered around my portable cooktop, asking questions and building both their cooking skills and vocabulary. 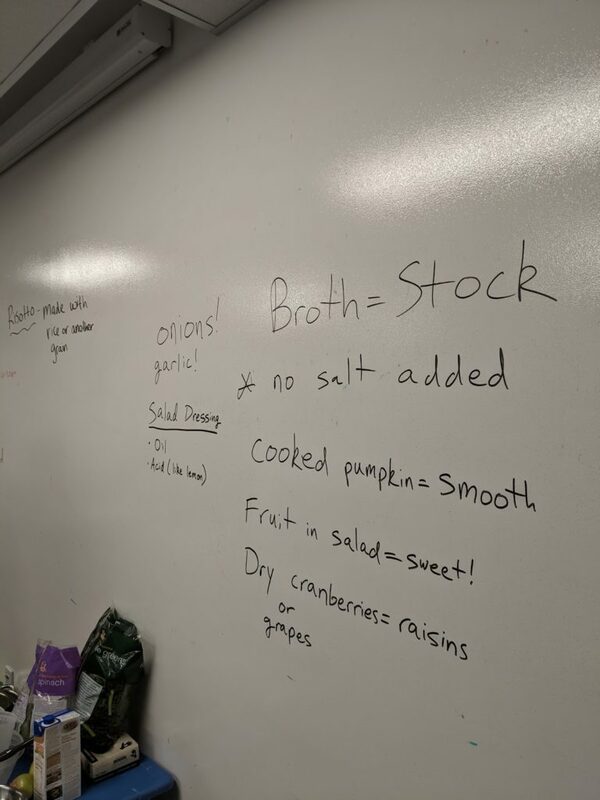 We were discussing stale bread, a common occurrence in a lot of home kitchens, and ways to use those hard dry loaves to make something delicious. Stale bread can be used in countless recipes and dishes. You can make bread crumbs to stash in the freezer for your next chicken parm, or use them to thicken soups and stews; homemade croutons never last long in my carb-friendly house, nor do thin-sliced crostini that can be eaten with cheese or hummus. One of my favorite uses for dried-out bread is panzanella: although the classic Italian panzanella pops up every summer when the tomatoes are local and flavorful, the rustic bread-based salad can be altered to fit any season. Even in the early spring of New England, with snow piles still lingering in corners and few signs of buds or sprouts, local produce can still come through for your panzanella. 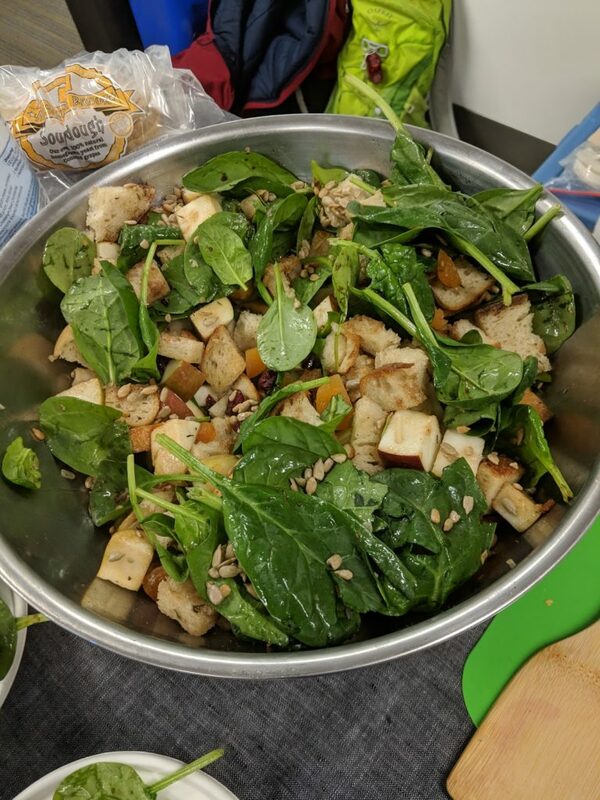 As we assembled our early spring panzanella at the International Institute, chopping apples and dried fruits, tossing in some hearty spinach, and toasting bread cubes with olive oil and salt, I tried to explain stale in other terms. Stale bread certainly isn’t dangerous to your health, or even less healthy than fresh bread. It’s just no longer the soft, moist, crusty “ideal” that we as consumers expect. It’s expectations like these that govern much of what gets thrown away in the grocery store and at home, even when it’s not tied to quality or safety. While I’m happy to see the recent trend back towards fresh, locally made bread (and away from that ever-fresh wonderbread), this also means that we need to go back to using the stale ends of those loaves the day after we bring them home. Luckily, our ancestors figured this out already: every culture that bakes bread also has recipes for stale bread, from panzanella, to French toast, to stuffing. These recipes are not only a way to reduce waste, but also delicious enough to become favorites on our table. To learn more about the Lovin’ Spoonfuls Plenty program, request a workshop, or browse additional recipes & resources, visit: https://lovinspoonfulsinc.org/education. In a large skillet, heat oil over medium-high heat. Add bread and toss thoroughly to coat with oil, then toast bread, tossing occasionally until well browned, 5-6 minutes. Remove from heat and let cool. In a large bowl, gently toss toasted bread, apples, apricots, sunflower seeds, and greens. Crumble ricotta over the top. Drizzle with dressing just before serving so the bread does not get soggy. You can add a variety of fruits, nuts, or seeds to this recipe – experiment with your favorite ingredients, or whatever’s on hand! Use up stale bread & crusts in this recipe to reduce waste! You can even use bagels, english muffins, rye bread, or baguettes.